It’s scarcely larger than a matchbox but the GoPro HD Hero2 is an incredibly powerful filmmaking tool. 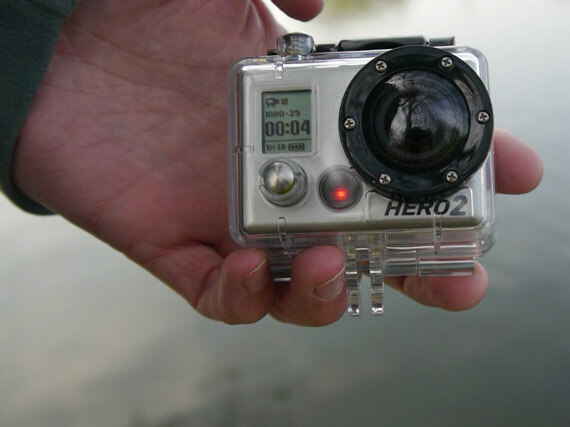 A few years ago, several solid-state personal video cameras came to market, including the Contour HD and original GoPro Hero. The latter found considerable success particularly in the burgeoning ‘adrenalin sports’ market. There are two main reasons for the success of GoPro in general. Firstly, the camera itself: it fits easily into the palm of the hand, comes with a waterproof housing and shoots video and stills. And secondly, there’s a comprehensive range of accessories to enhance the user experience. Earlier this year California-based Woodman Labs introduced the updated HD Hero2, with extended features and 11-megapixel true 1080p full high definition. Operation couldn’t be simpler. There’s a slot for an SD card ranked class 4 or above (the higher the faster, ergo better) and up to 32gb. That’s enough for 4hrs 21mins of simultaneous recording under optimum conditions, although the standard battery time is two-and-a-half hours. Whichever way you look at it mind, you get loads – and spare batteries are readily available. In the hand the camera feels solid and scratch-, dirt- and water-resistant. Next to an LCD screen indicator is a small mode button on the front. Hit this and it turns on, then cycles through each setting: stills camera, multiple shot, self-timer, tools, or video. A second button on top is to take a picture or start/stop recording, indicated by a flashing red light. On the inside, the SD card is written with MP4 or JPG files, numbered consecutively with each take. It couldn’t be easier. You can set it for 960p or 720p or standard def video if you prefer, and shoot in burst or time-lapse photo modes. The focus is fixed with auto white balance. Whether you’re a skydiver, racing driver, cyclist, rollerblader or fell runner, there are myriad ways to mount the Hero2 and capture the action. 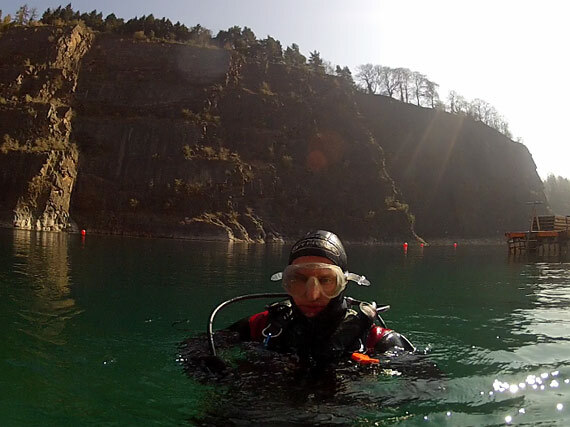 British Diver tested the Outdoor Edition, which features a headstrap, helmet strap, two curved and two flat adhesive mounts, and a ball-joint mount. But the Motorsport Edition and Surf Edition ship with different mounts in the box accordingly. 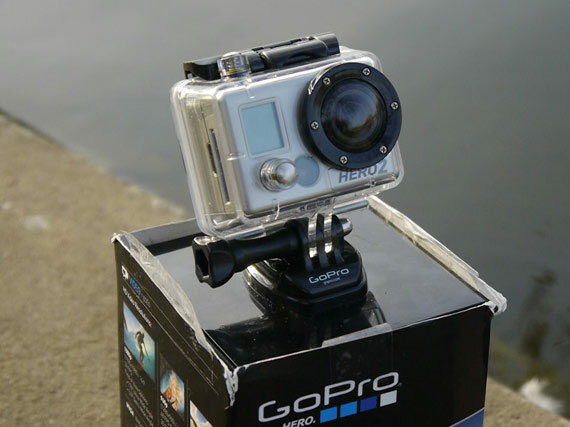 There are also individual accessories available from GoPro you might wish to consider such as an LCD rear screen, floaty rear door (for artistic use – although handy in case you drop it over the side of the boat) and a 3D housing to mount two GoPro cameras side-by-side. Underwater use is our focus – an ironic phrase it turns out, as this is currently the GoPro’s Achilles Heel. Thanks to a curved port on the housing, beneath the waves video footage comes out blurred. It’s a crying shame as the standard housing is waterproof to a reassuring 60 metres. However, all is not lost: third party manufacturers make a flat port housing at a modicum of cost that corrects the problem; GoPro themselves have got wind and are releasing their own this summer. TV presenters on household channels are using these cameras, leading to the emergence of a new game in our household. “He’s using a GoPro!” is an occasional cry from the living room. I know I know, we probably should get out more. Having a GoPro should help with that. The Hero2 is so flexible it just begs you to experiment. 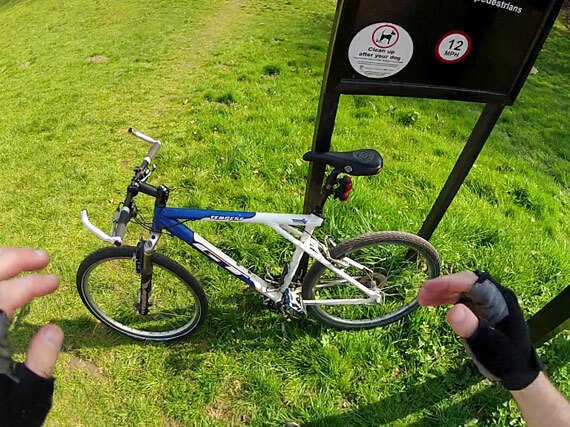 Attached to my helmet, it filmed my high-speed cycle across Hampstead Heath; I stuck it to the outside of the truck and drove over the Severn Bridge; hell, I even dropped the Hero2 into my shopping basket and walked around the supermarket just to see the world from a pizza’s standpoint. 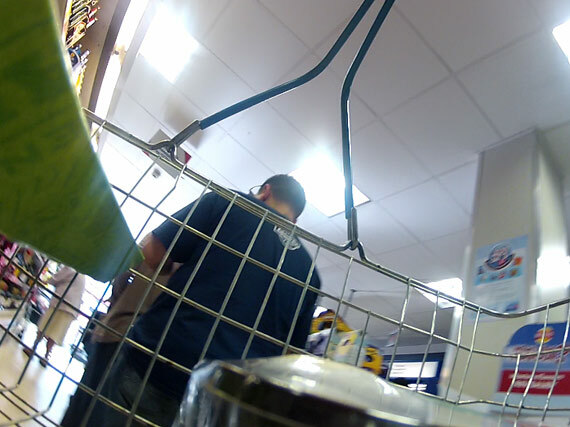 Clearly the GoPro would make a fine covert-cam for budding Consumer Rights filmmakers. This video camera is surprisingly affordable. There’s a normal hesitation to dissect prices as, unlike specs, they can change – but the Hero2 currently costs in the region of £250 in any of the three Editions. That sort of money isn’t going to get you much in the way of underwater video elsewhere. 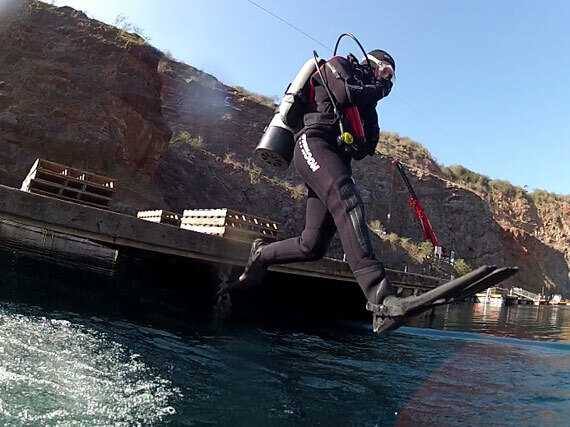 When you consider the GoPro HD Hero2’s capabilities and many add-ons, it’s pretty much unbeatable.